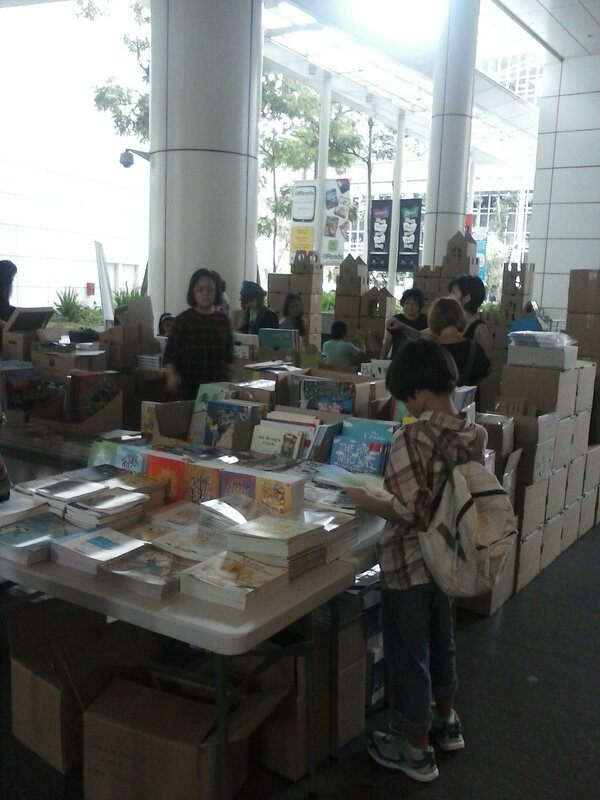 I’ve been having a fabulous time at the AFCC in Singapore the last few days with plenty of talk about writing for children and teens. The AFCC (Asian Festival of Children’s Content) is an international festival held every year in Singapore which celebrates many facets of education, media, books and multimedia involved in producing content tailored for children. I was there to talk on a panel about: Future Trends in YA and the ins and outs of writing fantasy and sci fi for young adults. I shared the panel with Indian author Payal Dhar and renowned UK based author Sally Gardner. It was a fantastic and lively discussion about the future trends in YA – which we all agreed we couldn’t possible predict – and why we love to write fantasy and science fiction. 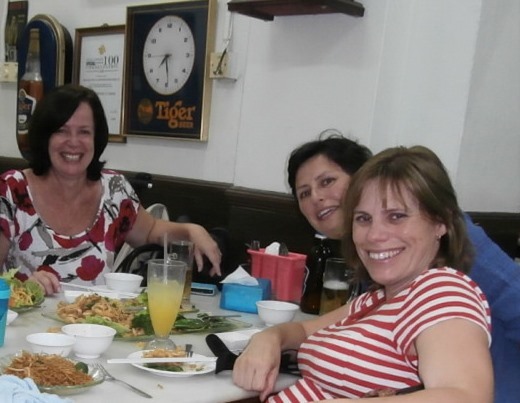 I was also out and about in Singapore trying to eat my way through the town – see above! I had a great dinner with fellow authors Raewyn Casiley and Deb Fitzpatrick and visited Sentosa and strolled the river boardwalk. It’s been a wonderful and rewarding three days and I recommend anyone serious about writing, and about being published in the Asian market to visit next year. This entry was posted in Author's Desk and tagged AFCC 2014, festivals, singapore, YA fiction on June 4, 2014 by Lara Morgan. Hey Lara, it was fantastic to meet you too. I thought I’d come home and pick up your book but unfortunately, it’s not available here. Kicking myself for not picking up the Rosie Black books! Anyhow, I had a great time in Singapore as well, both in and out of the AFCC. yes it was great wasn’t it. Sorry you can’t get the books, I’m working on that, fingers crossed! I’m hoping contacts made at the AFCC might help. If you’re desperate you can buy the Rosie books online through http://www.booktopia.com.au but then there’s the freight and I don’t know if they post to India.